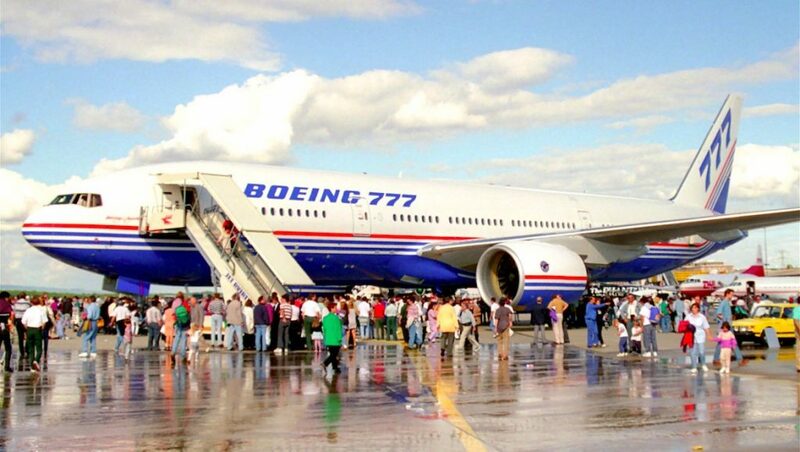 The first Boeing 777 ever built will spend its retirement under the Arizona sun being admired by aviation enthusiasts after close to two decades in commercial service. The aircraft, a Cathay Pacific 777-200 with line number WA001 and registration B-HNL, is being donated to the Pima Air and Space Museum in Tucson. 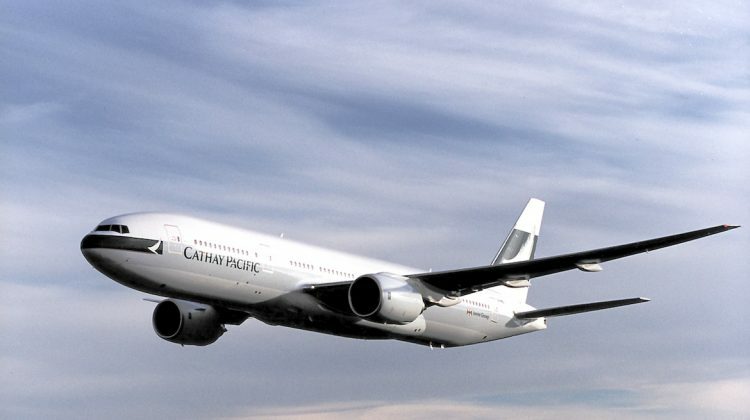 It is due to be ferried from Cathay Pacific’s Hong Kong hub to Tucson on Tuesday, September 18. The 777-200 was initially used as a test aircraft with US registration N7771. 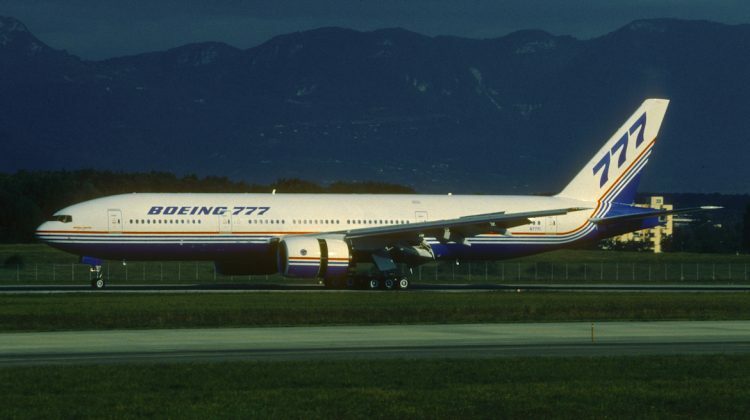 The first flight, which lasted a few minutes short of four hours, occurred in June 1994 with Boeing test pilots John Cashman and Kenny Higgins at the controls. 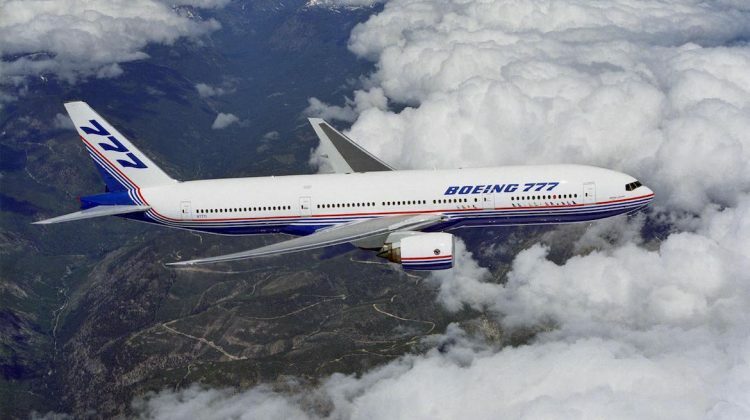 It was one of nine 777s in the flight test fleet. 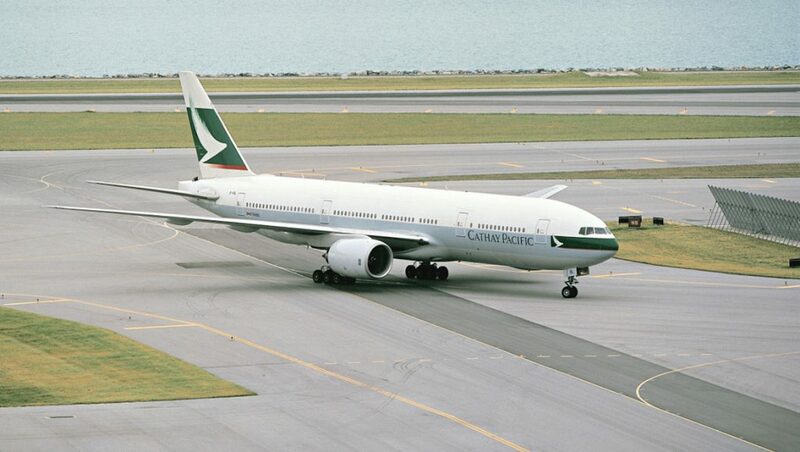 Cathay Pacific took delivery of N7771 in December 2000, after its Pratt & Whitney PW4074 engines were replaced by a pair of Rolls-Royce RB2111 Trent 884B-17 powerplants. 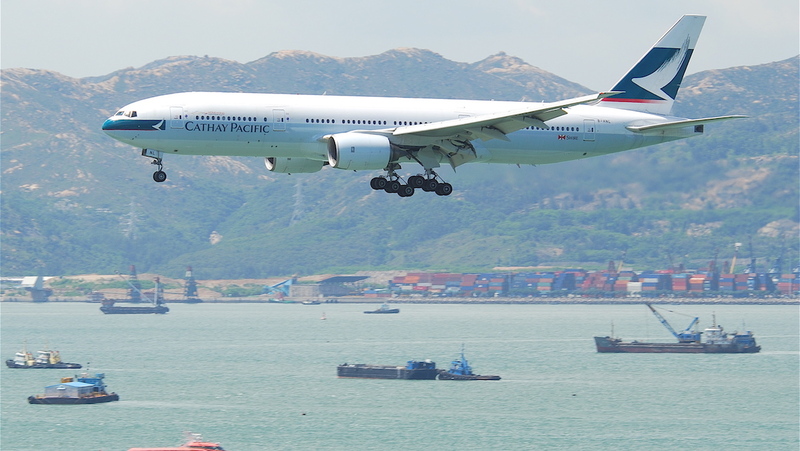 The aircraft then served in the Cathay Pacific fleet until the end of May 2018, with its last passenger revenue service from Hong Kong to Xiamen.. Figures from Cathay Pacific showed B-HNL operated 20,519 flights and racked up 49,687 hours of flying time during its 18 years in commercial service. Its latest configuration comprised 42 business class and 293 economy class seats for a total of 335. “As the world’s very first 777, B-HNL holds a very special place in the history of both our airline and that of commercial aviation, and we are very pleased it will soon bring enjoyment to enthusiasts at its new home in Arizona,” Cathay Pacific chief executive Rupert Hogg said in a statement on Monday. Cathay Pacific noted it was part of Boeing’s consultation group of 10 or so airlines that had input into the design of the 777 and its requests included “a cabin cross-section similar to the 747 Jumbo Jet, a modern ‘glass’ cockpit, fly-by-wire system, and, crucially, lower operating costs”. 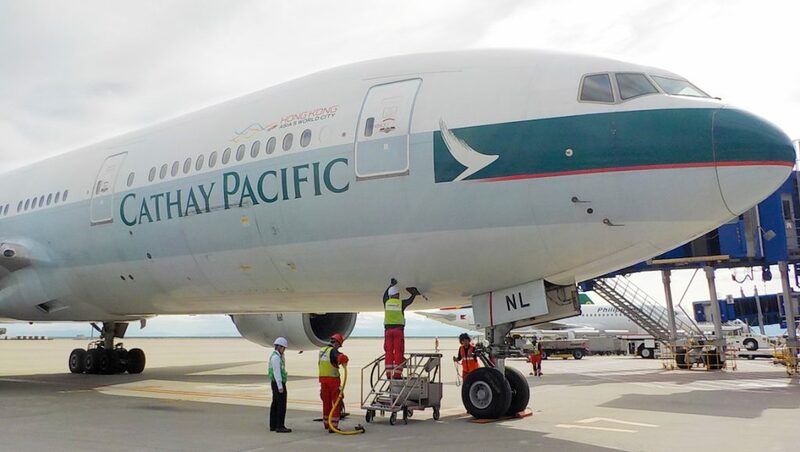 At June 30 2018, Cathay Pacific had five 777-200s, 12 777-300s and 53 777-300ERs, according to its calendar 2018 half year results released in August. Looking ahead, the airline is the launch customer of Boeing’s 777-9X, with 21 on order. 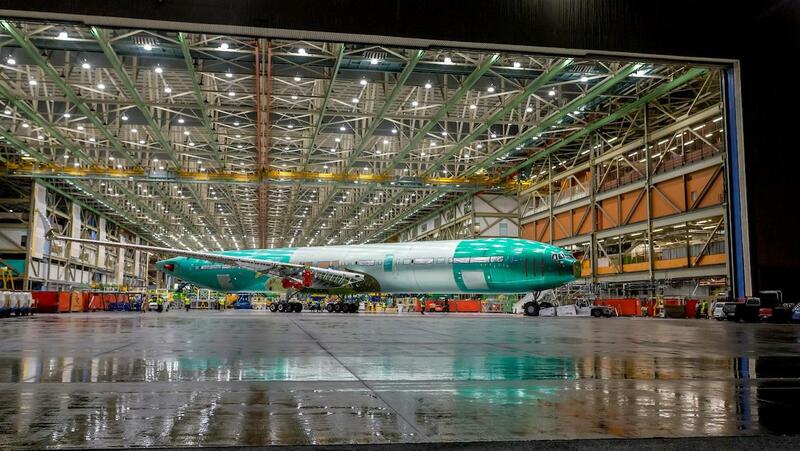 The first completed 777-9X airframe recently emerged from Boeing’s final assembly line in Everett in Washington State and will be used for static tests. First flight is expected to occur in 2019. The 777X family comprises the 777-8X and 777-9X variants and will be powered by General Electric GE9X engines. Flight tests for those engines began in March 2018. The 777-9X is 77 metres in length, has a total wingspan of 72 metres and is capable of flying 7,600nm when carrying 400-425 passengers in a two-class configuration, according to Boeing figures. Boeing Commercial Airplanes chief executive Kevin McAllister said Cathay Pacific had been “instrumental in the tremendous success of the 777 program”. 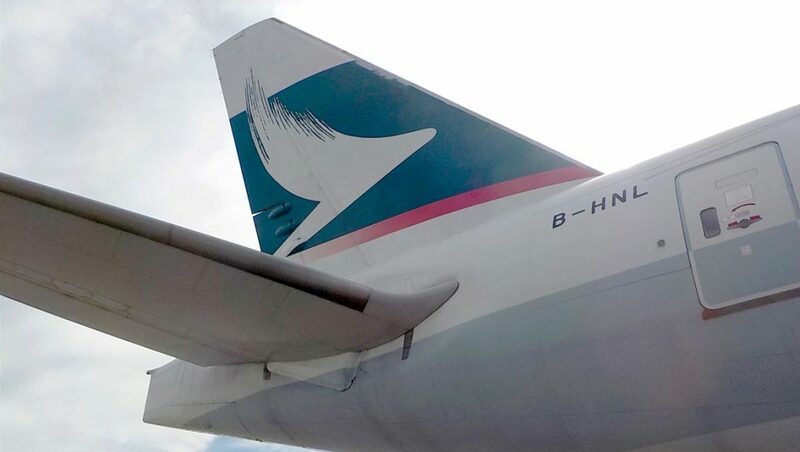 “The airline contributed greatly to the airplane’s original design and has been one of its biggest ambassadors ever since,” McAllister said in the Cathay Pacific statement. Established in 1976, the Pima Air and Space Museum is a not-for-profit organisation and the largest privately funded aviation and aerospace museum in the would and third largest aviation museum in the United States, according to its website. Spread out across 30 hectares and five hangars, it has about 350 aircraft on display across both military and commercial examples and is adjacent to the Davis-Monthan Air Force Base. VIDEO: A look at the Pima Air and Space Museum from 2012 from the Southern Arizona Guide YouTube channel. The Pima Air and Space Museum is a spectacular site to visit and with the bonus of the Davis-Monthan Air Force Base Aircraft Boneyard right across the road (bus tours can be booked at the PASM and is very cheap, $10 from memory). Nearby, based at the Tucson International Airport is the Rolls-Royce 747 test bed, I am always keen to be surprised as to what engines are fitted to it on any given day! p.s. The 777 will be joining the ANA 787 which was one of the first off the production line. Donated means it’s parked in a graveyard to be cannibalised or scrapped. In this case donated to Pima Air Museum means that it will be on static display along with 300 plus other commercial and military aircraft, the only connection to the AMARG bone yard are the tours originating from Pima. No it doesn’t. It’s been donated to a museum to be preserved. did you not rad the article? Great to see, I remember this aircraft coming through Perth Western Australia, I think it was first time we saw a Boeing 777. Was first time I’d seen aircraft engines with curved blades. Got photo’s somewhere in my collection.